You've looked high and low for that one piece. 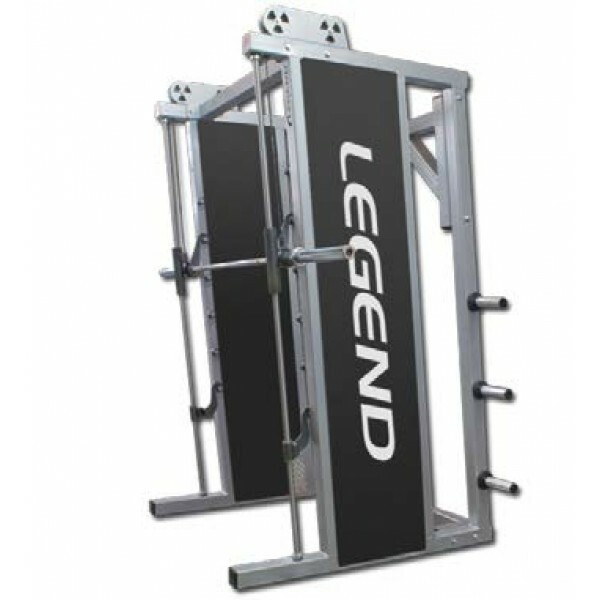 Well, look no further than the Legend Smith Machine. Start with a counterbalanced Olympic Bar that puts the starting weight at twenty five pounds. Marvel at linear bearings that keep things running smoothly, and the ABS-covered safety pegs are a flip of the wrist away. Six chrome pegs allow tons of plate storage. A full-range movement and a 5° path of motion make this a gym favorite. A Dupont powder-coated frame tops it all off. Train on!